Whatever your waterproofing requirements Canseal Protective Coatings will provide the most advanced waterproofing membrane and the industry’s longest warranty. Watch Addmore Quality Systems restore an old rusting roof with Canseal in just days! Our reputation in doing excellent workmanship at a fair and honest price precedes us. We do not “cut corners” and try to cheapen the project costs to make more money. 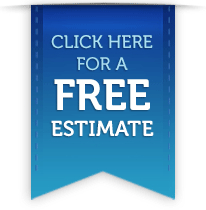 On the contrary, we have installed many extra costs on re-roofing projects at no extra cost to the owners. Do you have a question about anything on this website? Perhaps you want to learn more about our products or services. If so then please Click Here and we will be happy to contact you! We have used Addmore as our sole roofing contractor for five years now. They were recommended to us by a manufacturer for a large project and we have been very pleased with their service, quality, responsiveness and guarantees ever since. After working with 8 – 10 different roofing trades in Vancouver in the ‘80’s, I eventually developed an ongoing relationship with one roofing company because of the honesty, integrity and straight forward business practices of one of their managers, Rick Johnston. Rick was always competitive in his pricing, honest and upfront on where we could save money and not unnecessarily re-roof as well as other cost saving advice. The projects completed under Rick’s management went on time, on budget and there were never any problems. Once Rick Johnston started his own company, Addmore Quality Systems, I kept my business with him as I developed confidence in him as my roofer that could not be replaced. Rick introduced me to Tremco’s TRA product line which has served us excellently over the years and has been expertly installed by Addmore for over 25 years now on 50 or 60 buildings across the lower mainland. I have recommended Addmore to dozens of friends and professional acquaintances over the years as the best quality roofing company in BC.